The new initiative is directed at area police departments whose officers are invited to have lunch with students at any county school cafeteria. 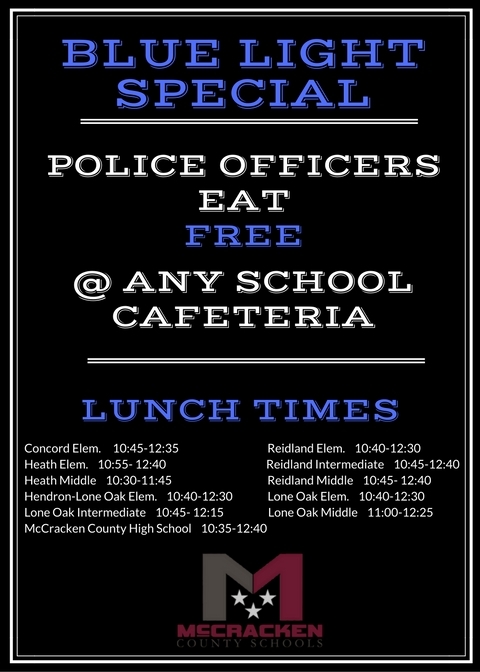 Officers can enjoy a free lunch provided by the school, or may bring their own, while spending time and interacting with students. *Check the school website for menus.